Come enjoy a truly unique and engaging hands on learning experience with your child while earning service hours! No garden experience necessary. Please sign up to volunteer in the beautiful Cornerstone School Garden during our yearly garden lessons. 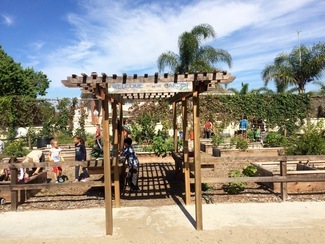 Lessons are taught by a PV School Gardens teacher and run almost every Friday from September 7th through May 31st. Please sign up for your child's grade level lessons.